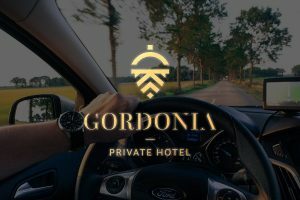 Situated in the heart of the Jerusalem Hills, the Gordonia Hotel serves as a base for tours in the vicinity that are no more than a short drive away. Many of the routes are easy and comfortable, and they are fascinating. Routes can be covered by foot, car, bike, or by combining a short drive with a pleasant walk and the opportunity to enjoy nature and the excellent air. Hahamisha and Mt. Adar. You also can get there on foot, or by a 10-minute bike ride. historical Radar Hill compound, where hard-fought battles took place during Israel’s War of Independence. Khirbet Nijim, an archeological site consisting of a fortified building from the Persian-Hellenistic and Ottoman periods, stands at the top the mount, where the settlement is located. The monument standing atop radar Hill and honoring the Harel Brigade, is Mt. Adar’s best-known site. It comprises a cenotaph in memory of the fighters that were killed in the battles that took place in the area, along with an exhibit of tanks and armored vehicles. during the War of Independence (and later served as the country’s Prime Minister, until being assassinated in 1995), and Uri Ben Ari, its commander during the 1967 Six-Day War. It’s impossible to miss the tall observation tower by architects Aryeh Sharon and his son Eldad, designed as two radar dishes standing on a pair of concrete legs. The view from the memorial is wonderful – all the Jerusalem Hills to the East and the coastal plain to the West spread out before you.